Father Thompson comes from Sacred Heart Church, Port Arthur, Texas, formerly staffed by the Josephites. In 2004, he was ordained a priest. His first assignment was as parochial vicar at Corpus Christi /Epiphany Church, New Orleans, LA. Following the Hurricane Katrina disaster, Father Thompson served three months as the interim pastor at Our Mother of Mercy Church in Beaumont, Texas, the very church of his priestly ordination just thirteen months earlier. 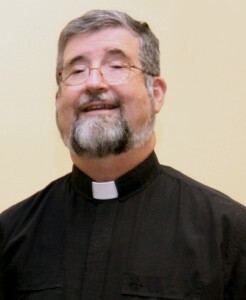 Father Thompson was then assigned to St. Theresa Church in Crowley, LA and assisted at the Post-Katrina Recovery Office, which the Josephites had recently set up in Breaux Bridge, LA. When the recovery office was closed, Fr. 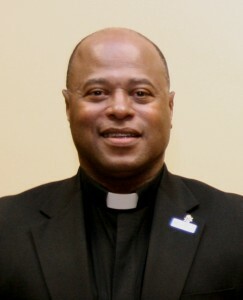 Thompson was appointed pastor of St. Francis Xavier Church in Baton Rouge, LA, where he was serving at the time of his appointment as Vicar General. 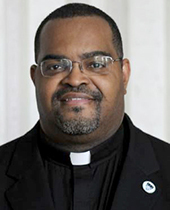 Father Roderick Coates hails from Baton Rouge, LA. Called to the Josephite mission, he studied at Xavier University in New Orleans and then entered the Josephite novitiate and later St. Joseph’s seminary in Washington, D.C. He was ordained by Josephite Bishop Carl Fisher in the Church of Our Mother of Mercy, Houston, TX on May 14, 1989. For more than 25 years, Father Coates has served as a Josephite leader and priest. Our Lady of Perpetual Help parish in Washington, D.C. was his first assignment as a priest, followed by Sacred Heart Church in Port Arthur, TX. His first pastorate was at St. Benedict the Moor Church in Washington, D.C. and later at St. Luke’s parish. 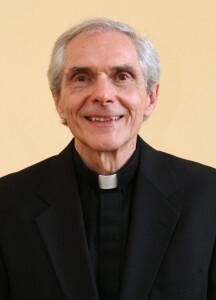 Father Coates was assigned as vocations director and spent four years as director of novices, followed by serving as rector of St. Joseph’s Seminary. He returned as pastor of Our Lady of Grace parish in Reserve, LA, before becoming pastor of Corpus Christi Church in New Orleans. In addition, Vicar General Coates has served as Chairman of the Josephite Convocation Committee and was Chief Religion Officer at St. Augustine High School. Father Frank was born and raised in Portland, Oregon, and since 1965 calls Seattle his home town, was ordained in 1978. He is the nephew of the late Josephite Rev. Gregory Frank, SSJ, (RIP ’87). Father Frank has carried out pastoral ministry in Houston (Our Mother of Mercy and St. Peter Claver) for nine years, in Baltimore (St. Veronica) and Washington, D.C. (St. Benedict the Moor and Our Lady of Perpetual Help) area for 9 years, and as a Seminary Formation Director (Josephite House of Studies in New Orleans and Rector of St. Joseph Seminary in Washington, D.C., for 11 years. He served as pastor of St. Brigid parish in South Los Angeles. Currently, Father Frank is pastor of Our Lady of Perpetual Help in Washington, D.C. Father Frank has been involved with World Marriage Encounter for 30 years and Industrial Areas Foundation Sponsored Community Organizations for 19 years in four cities. 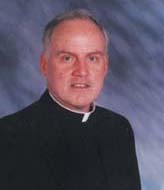 Father Ray Bomberger is Area Director for Area One which includes parishes in the Archdiocese of Baltimore, the Archdiocese of Washington and the Diocese of Arlington; also, St. Joseph Seminary, Mary Immaculate Novitiate and Josephite Pastoral Center in Washington; St. Martin de Porres House of Studies in Ibadan, Nigeria, and St. Joseph the Worker Formation House in Ijebu-ode, Nigeria. Area One also includes St. Joseph Manor, the Mission Office and the Generalate in Baltimore. Father Godwin Ani is Area Director for Area Two which includes parishes in the Archdiocese of New Orleans, the Archdiocese of Mobile, the Diocese of Biloxi and Diocese of Birmingham. 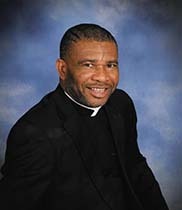 Also included in this area are St. Augustine High School and Xavier University Campus ministry..
Father Edward Chiffriller is Area Director for Area Three which includes parishes in the Diocese of Baton Rouge, the Diocese of Jackson, and the Diocese of Lafayette.